If the hills are calling, then Wayanad is where you need to head to. And to crash, Hibernest in Kalpetta is the ideal hostel. The hostel overlooks Wayanad’s beautiful hills, valleys, and tea gardens with misty mornings, hilly vibes, and all that jazz forming part and parcel of the experience. Since it’s a hostel, dorms are the norm with a mixed and female-only setup. And also, since it’s a backpacker hostel, the chances of you running into like-minded backpackers and out-of-towners are good. The rooms are basic but come with the usual mix of amenities that include free WiFi, luggage rooms, lockers, and attached bathrooms. The hostel has an open-air lounge and two of the dorms come with terraces. Great views of the natural surroundings guaranteed from these spots, make sure your inner shutter bug comes alive and capture nature at its finest and greenest. Oh, and Wayanad during the monsoon is simply to die for. 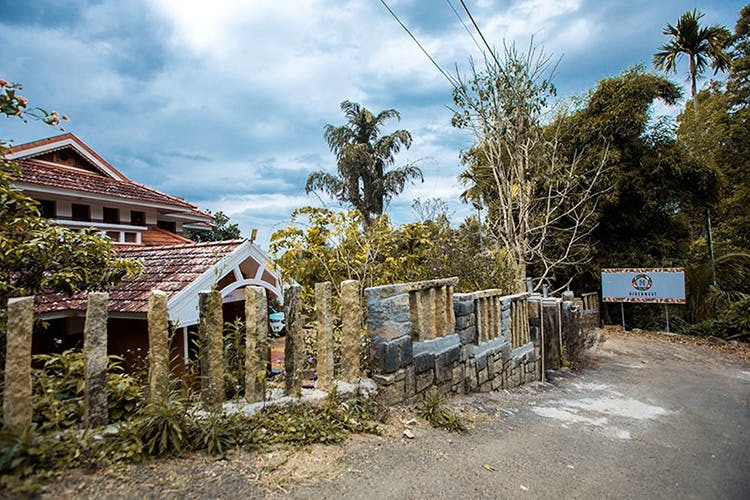 Since the property is centrally located, access to public transport is quite easy and you won’t have to shell out a bomb on private transport to visit places such as the Chembra Peak, Edakkal Caves, and Kanthapara Waterfalls. All these are touristy spots and are within 30 km from the property. The Soochipara Waterfalls is another spot that you shouldn’t miss during your stay here. It offers one of the best views of tea estates in Wayanad. If you are driving down from Bangalore, then you are in for a scenic road trip. A single bed space is priced at INR 600 and it’s inclusive of all the amenities as well as access to the kitchen. You can either book into a 6-bed premium mixed dorm or if you are going with your girl gang, then the 6-bed premium female-only dorm with a terrace of your choice. There’s also a 4-bed mixed dorm as well.